SSD drives have many advantages over traditional hard disk drives and that’s why they are widely used in many latest models of laptops, desktops and tablets. SSD’s are faster, consume less power, make no noise and are more robust than traditional hard drives. Their only disadvantage was the high price tag but this has changed the last few years and SSD’s are now affordable for the average consumer. One of the things that is not widely known is that modern hosting provider’s use SSD in their VPS hosting solutions and this has many advantages to offer to webmasters and to the end user. We have been offering vps hosting plans since 2013 and the comments we received from customers about performance and reliability of our SSD infrastructure is simply amazing and a confirmation that we made the right choice in introducing SSD in our hosting packages. You can read our previous articles to find our more information on how solid state drives work and about their advantages over traditional hard drives. Obviously performance is the most important benefit of SSD over traditional hard drives. When we refer to performance we mean web site loading time. Speed is a very important factor these days and the faster your website can load the better. On average, websites should not take more than 3-4 seconds to load and SSD can help you a lot in this manner. SSD are generally more reliable than non-ssd drives since they don’t have any moving parts and they don’t wear out over time. This does not mean that traditional hard drives are not to be trusted, it just means that SSDs use a more efficient technology that can stand better over time. SSDs consume less power compared to normal disks and they are thought as a more environment friendly solution. From the consumer point of you, you are getting better performance in a greener way which is what is needed these days. How much does SSD Web hosting cost? One of the initial disadvantages of SSD’s was their high price but as you will see below this is not true especially when it comes to web hosting. 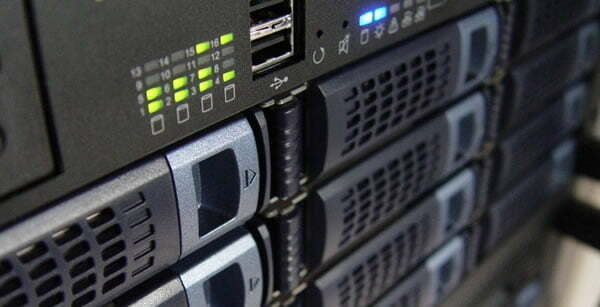 Our SSD VPS packages are as low as $35 per month, a price that is just $10 more than traditional managed VPS packages. Who should use SSD hosting? So, you get better performance and reliability in a ‘green package’, but is ssd web hosting for everyone? Websites that make use of CMS like WordPress, Drupal etc – SSDs can speed up the process of retrieving information from the file system and database and thus the websites load faster. Ecommerce websites – Faster websites make more sales and this is a proven fact. If you are serious about your ecommerce website you should definitely take on SSD hosting without second thoughts. Websites with a lot of traffic – Websites with lots of traffic are better served on SSD VPS since the server will be able to response to user requests faster. Websites with high caching – Caching is a mechanism that helps websites load faster. Basically webservers store local copies of the website in their hard drives and then served to the user, instead of dynamically generating the pages for every request. An SSD based server is ideal for this situation since the reading/writing to the disk will be much faster compared to traditional hard disk drives. Websites that are optimized for SEO – As already mentioned above, it is a known fact that speed is a ranking factor and a relatively easy one since you can score high by optimizing your website for speed. When you start this process you will find out that in order to get a really good performance you need the best possible response times from the server and SSDs can help a lot in this direction. Eliminating delays from the web hosting part is the first step in achieving an overall good result. SSD VPS hosting is the best solution today for nearly all types of websites since you get optimum performance in an affordable price. A few years ago SSD VPS for the web was the privilege of the few but now the average webmaster can benefit from the advantages without breaking the bank. Not all hosting providers offer SSD hosting packages and that’s an additional advantage you have as our client. Feel free to contact us if you have any questions about our SSD VPS packages. I completely agree with you. SSD web hosting is not that expensive and the output is truly amazing! Thanks for sharing the info. This is so useful post for us.Thank you so much to provide your valuable information.